“I don’t know how we managed without it!” is a phrase the Tower Lifts installation team are always delighted to hear from clients. A good example is our work with JD Sports in Luton; the retail outlet wanted a solution to the problem of transporting their goods to the customers quickly and efficiently, without taking assistants off the shop floor. We installed a dumbwaiter lift and both sales and productivity increased as a result. JD Sports are delighted because they now have a practical solution to their problem. They also have a guarantee that their dumbwaiter lift is kept at peak performance thanks to the Tower Lifts maintenance package which ensures ongoing service, and instant repairs should the lift break down. Installing an elevator is just the first step in a process of developing trust with your passengers and users. A lift which ‘feels’ unreliable, or breaks down regularly, is a source of ongoing anxiety and distress for people who have come to rely on it to get to work, to transport them safely to their apartment, or to help them do their job efficiently. Tower Lifts offers all its customers a range of packages offering lift maintenance in Luton. 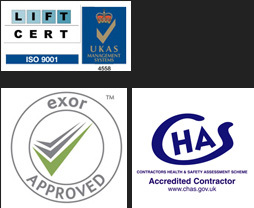 Ensuring that your lift is properly cared for guarantees that you’ll get maximum return on your investment, and sleep a little easier knowing that professionals are on hand, should you require lift repairs in Luton. Annual servicing ensures that your lift is running at peak performance. Lift repairs in Luton are scheduled in to maintain the standards of health and safety for passengers. DDA regulations are consistently addressed and upgrades are fitted where necessary. IN the case of a lift breakdown, our dedicated lift repair in Luton team will attend to it immediately, night or day. For older lifts, lift modernisation and repair can be scheduled in stages to allow for budget planning. At Tower Lifts we know that vertical transport can transform a domestic residence, commercial building, or industrial process; our packages for lift maintenance in Luton are your insurance that the benefits continue, uninterrupted for as long as you need them.